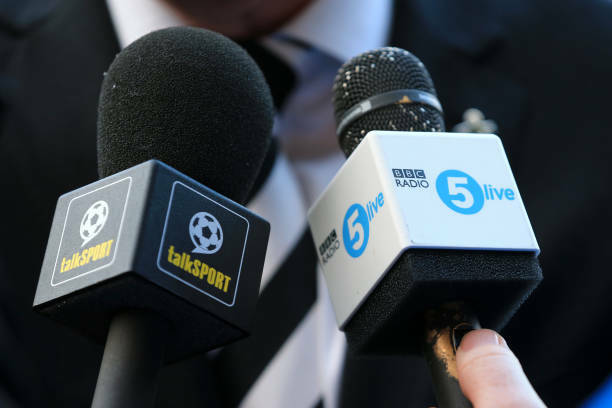 The university’s Centre for Journalism was given a £25,000 research grant by News UK, the parent company of talkSPORT and talkRADIO operator Wireless, to produce the report, which finds that 5 live is not meeting Ofcom’s requirement that 75% of output should be news and current affairs. News UK says the research was carried out according to the University of Kent’s Standard Terms and Conditions for Research Grants, and without the company’s involvement. The university says that, in common with most research grants – public or private – it was for a specific purpose: in this case to ‘assess the delivery of BBC Radio 5 Live’s public service commitments’. The BBC has told RadioToday that it was not consulted by the authors of the report at any stage, and says its own figures show 5 live exceeds its obligation, with 76% of output being news and current affairs programming in the 2017-18 financial year. The corporation also says it has asked the University of Kent if it is comfortable one of its academics has been paid to write a report by an organisation that clearly has a commercial interest in the outcome. The university says that is has “made clear from the outset that the funder could not influence the conduct of the research or its outcome”. Researchers listened to 115 hours of 5 live’s output between February and October 2018 – you can read the full report here. If you read the full report, you’ll quickly understand why there appears to be a discrepancy between the researchers’ numbers and those from the BBC. It all comes down to what constitutes ‘news and current affairs’ – and it seems the academics’ view differs significantly from the BBC’s definition. While the Centre for Journalism says it has used academic research to form its methodology, putting topics into boxes can, in our view, often be very subjective. At what point does a sports story stop being ‘sport’ and become ‘news’ – England being knocked out of the football World Cup in the semi-finals? A country being accused of wide-spread drug cheating in sport? A footballer’s light aircraft going missing? And where’s the line between ‘entertainment chat’ and ‘current affairs’ – A film breaking all box-office records? A discussion about a TV show that’s being watched by 8 million people? 50 prominent artists calling for Israel to be stopped from hosting the Eurovision Song Contest? It’s easy to argue such topics either way. If you use a news story as the basis for a 30-minute discussion or phone-in but it ventures deeper into the subject and away from the original issue, is that still news content or is that just ‘talk radio’? The fact that the research has been paid for by the owners of 5 live’s commercial rivals also clearly has some influence here – even if the researchers have never had any contact with News UK. The Centre for Journalism decided to look into whether 5 live was meeting its licence requirements, and News UK handed over £25,000. We wonder whether another commercial radio group, that doesn’t have a history of complaining about 5 live’s output, might have been so willing to pay for the research to be done? Echos of the Radiocentre funded report in to community radio. When did sport cease to be news? Did I miss something?I also wonder when someone is going to conduct a survey about the amount of advertorials on Talksport promoting gambling. Why is this not a surprise. Of course these so-called academics are going to produce a totally biased report given that Murdoch is paying them to do so. If the BBC were not honoring their news & current affairs commitments, then wouldn’t Ofcom be investigating them? Ofcom aren’t investigating which means only one thing, they [Ofcom] agree with what the BBC calls news & current affairs. It’s just Murdoch having another cheap shot at the BBC just because he’s managed to prize a few so-called ‘talent’ away from them, he thinks he’s got them on the ropes. That’s where he’s wrong, in fact, he’s done the BBC a favour as they’ve been replaced by much cheaper ‘talent’. Didn’t “talent” leave because BBC totally let them down by “misunderstanding” power of HMRC? Ofcom have asked the university for a copy of their report so they can review their findings. Echoes of HMRC’s view of BBC forming it’s own interpretation of the rule book in the recent IR35 subcontractor payment dispute. HMRC won that one. Will Ofcom be as firm? …and with Radio 2 being “1990s Radio 1 regurgitated” and BBC Local Radio auditioning 18 year olds…. …the BBC do NOT have even ONE a station catering for those over 50 !! Come on Len, back to Bedroom FM. You’ve got Phil Collins to play. To about 2 listeners. Radio 3, Radio 4 and radio 4 extra, radio 5, radio 5 extra and bbc local radio have a huge amount of people of 50 listening. It’s hilarious how TS constantly plead poverty, yet can afford to waste £25k on such laughable “studies”. If they’ve got quarter of a million spare, how about investing it in their own services, such as sending commentators to all live events, rather than regularly and dishonestly commentating off-tube? 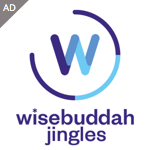 Or maybe plough it into an app that doesn’t constantly crash mid-stream or a listen again section on the website that isn’t missing half the content, rather than waste it on trying to knobble the competition. How is £25k a quarter of a million? I bet they chose a world cup week for this survey! We’ve known for years that Radio 5 Live is a SPORT station with news a very lesser second. It didn’t take 20k to academics to tell you that.